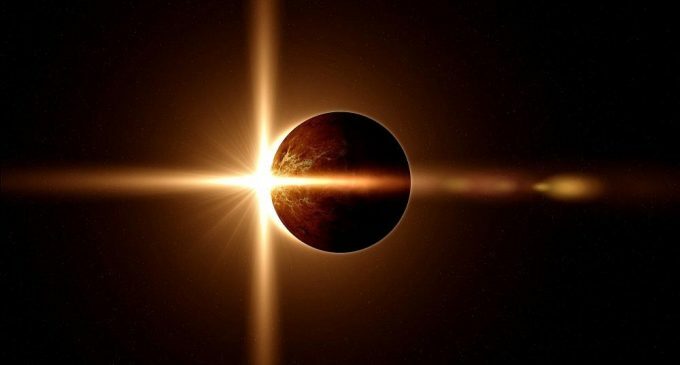 Yesterday a solar eclipse, a rare natural phenomenon, occurred in the territory of the United States. And today companies are calculating losses because the sun was hidden by the moon. Preliminary estimates show that the spectacle cost American companies $ 700 million. Losses are caused by the fact that employees of companies were leaving workplaces in the middle of the working day in order to personally witness such an entertaining phenomenon. The company Challenger, Gray & Christmas prepared a report that said the average time-out from work had taken one-third of an hour. This is not the only event that damages American companies. An interesting fact is that, for example, basketball finals cost for companies no more and no less than $ 2 billion per year. This is explained by the fact that about 80 million employees of the companies spend at least an hour, watching the final games. Not everything is black and white. Other reports indicate that thanks to tourists, who were active during the eclipse, some states have earned unplanned money. For example, the city of Nashville was visited by about 60 thousand tourists and got 17 million dollars due to travelers. The state of Idaho received about half a million tourists, who spent at least $ 50 million on the trip. In addition, the fact that people are not robots is not taken into account. And being inspired by a unique natural phenomenon, lots of them show workability much more than on normal days.